The Highlights: Picturesque lakeside Victorian hotels and inns; Road racing history; Pristine glacier-formed lakes perfect for boating and kayaking; Northern Kettle Moraine State Forest, LaBudde Creek State Fishery Area and Sheboygan Marsh Park. Other Places Nearby: Road America race course; Quit Qui Oc Golf Club; the Greenbush complex of hiking, biking and snowshoe trails a few miles south of town. Meetings Options: the Victorian Village Resort, Siebkens Resort and the 245-suite Osthoff Resort, with two restaurants, a cooking school and 38,000 square feet of meeting and event space. Beautiful lakeside backdrops for weddings, reunions and corporate retreats. The second group, you can be sure, are racing enthusiasts. They’re aware of Elkhart Lake’s prominent position in auto racing history. It was here, in 1950, that a 3.35-mile course was laid out north of the lake by a few sports car buffs, with the start/finish line in the village. In just two years, the original crowd of 5,000 spectators had swelled to near 100,000, clogging every inch of the tiny town and necessitating the construction of a track outside of Elkhart Lake that opened in 1955. This was the first incarnation of Road America, a facility that has since grown into a world-class racecourse hosting more than 400 IndyCar, NASCAR, SCCA, motorcycle and vintage car events each year, celebrating its 60th Anniversary in 2015. Naturally, this helps bring in a lot of tourist dollars (some $70 million at last count), but there’s another side to Elkhart Lake that harkens back to its pre-auto racing days as a spa and retreat for wealthy families from Milwaukee and Chicago. 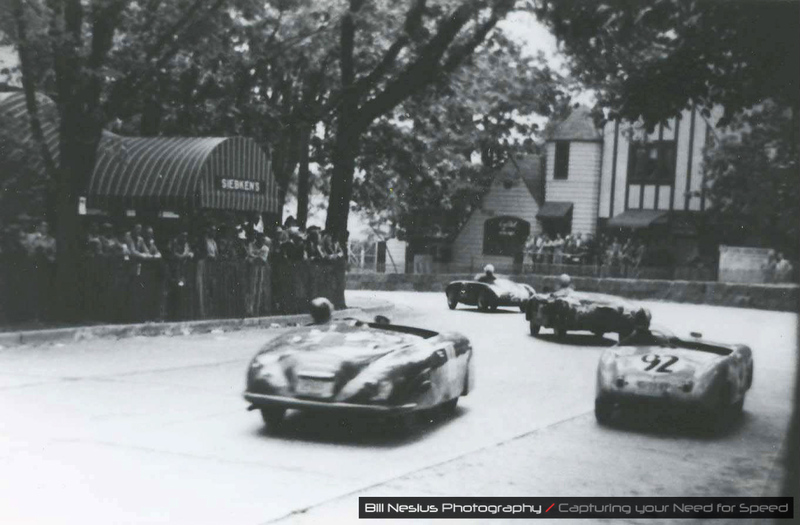 For over a century before racing enthusiasts descended on the town, Elkhart Lake was well known as a destination for city-dwellers looking to escape the heat and crowding of the city. Its pristine, spring-fed lake and massive resort hotels attracted throngs of people every year beginning in the 1870s, when the Milwaukee and Northern Railroad added Elkhart Lake to its northern route. By the turn of the century, the town was well-established as a resort destination, boasting a half-dozen major hotels and attracting more than 2,000 visitors a week in peak season. That tradition continues today, with the east side of the lake—on the edge of the 3-block x 4-block “downtown” area of Elkhart Lake—ringed by the Victorian Village Resort, Siebkens Resort and the imposing and venerable 245-suite Osthoff Resort, complete with its own spa, two restaurants, spacious lobby bar, cooking school, 38,000 square feet of meeting and event space, indoor and outdoor pools, fitness center, game room and water sports equipment rental.